Also known as common ivy, we have nothing good to say about this plant. Perhaps you don’t agree, and you can find websites that talk about its benefits. But our assertion is that it is a non-native, invasive plant which, left untended is also destructive. It’s for sure untended on the Nature Trail, and has begun to take over and destroy even large mature trees. English Ivy is labeled as an invasive species in many parts of the United States, and its sale or import is banned in the state of Oregon. Where it is established, it is very difficult to control or eradicate. In the absence of active and ongoing measures to control its growth, it tends to crowd out all other plants, including shrubs and trees. 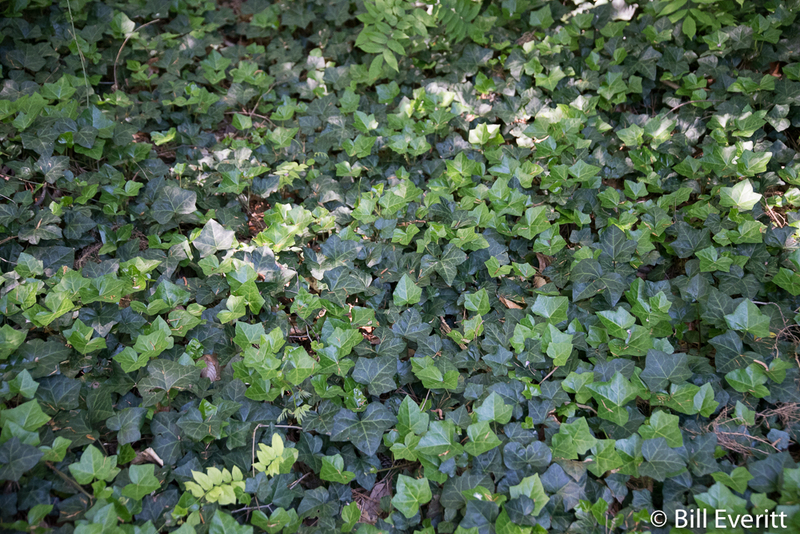 Like other invasive vines such as kudzu, English Ivy can grow to choke out other plants and create “ivy deserts”. It must be eradicated on the Nature Trail and fortunately Friends of Peachtree Park are on it. It will take a lot of work and you can help.